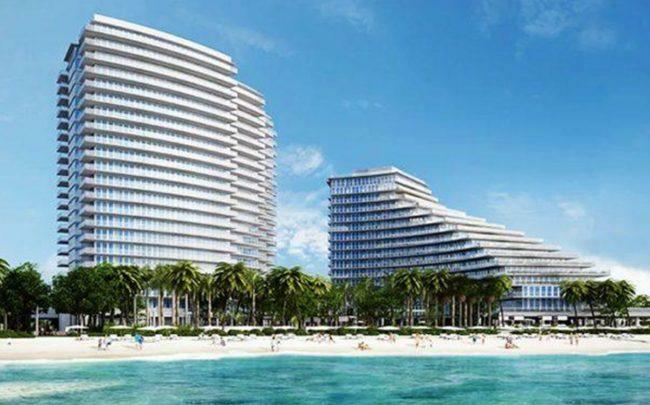 A wealth manager paid $9 million for a condo at Auberge Beach Residences & Spa in Fort Lauderdale. Patrick Tinucci bought the 5,586-square-foot unit S2203 at 2200 North Ocean Boulevard for about $1,611 per square foot, records show. He purchased the four-bedroom six-bathroom unit from the newly completed condo tower’s development group. Tinucci is part of RBC’s Wealth Management, Provence Wealth Management Group in a suburb of Minneapolis. The Related Group, Fortune International Group and the Fairwinds Group developed Auberge. Other buyers include Florida Panthers owner Vincent Viola, Citrix CEO David Henshall, former Miami Dolphins quarterback Dan Marino and Jacob Trouba of the Winnipeg Jets. Last year, the son of Salmar Properties founder Sal Rusi paid $9.3 million for a penthouse in the north tower.